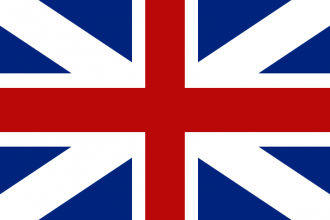 Great Britain is a formable country, and can be formed by any nation in the British culture group. Located in the British Isles, it does not exist in any start date until May 12, 1707. Due to it requiring quite a few provinces from Scotland and England, both of which are western, decently developed countries, it is usually fairly strong when formed. Many who play England decide to form Great Britain, and so it has unique late-game troop models, as well as various special missions and decisions. It does not, however, have missions for war against France, one of the contrasts to England, to which it is quite similar. By uniting our political development domestically and extending our influence beyond our borders we will be able to reinforce our position in world affairs and transform into one of the foremost European powers, the British Empire. owns at least 3 cities. moves its capital to London (236). gets a permanent claim on every province of Britain that it does not own. Great Britain does not exist. is either England or Scotland. is a vassal of or in a personal union under England. does have less than 15 cities. is a vassal of or in a personal union under Scotland. does have less than 41 cities. England and Great Britain share almost all of their events. The sole exception is the War of the Roses event chain, which is exclusive to England. British missions requires Rule Britannia immersion pack, however England and Great Britain share most of their missions. Virtually all strategies for England involve forming Great Britain. It can also be formed by Scotland, although this is considerably more difficult. This page was last edited on 14 April 2019, at 11:35.